In the not too distant past, before computers and big screen TV's we had small black and white televisions (or so I've been told). In the afternoons we watched The Lone Ranger, Zorro, Roy Rogers and a number of other Western Icons. And of course we wanted to grow up to be just like our Western Heroes. The first thing we needed was a cool outfit complete with hat and a pair of Six Shooters. This Buckaroo is wearing all the right stuff for an afternoon of fighting the bad guys. 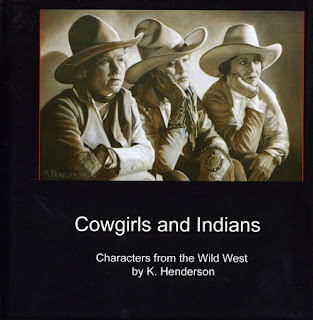 Cowgirls and Indian Book -Ready to ship! 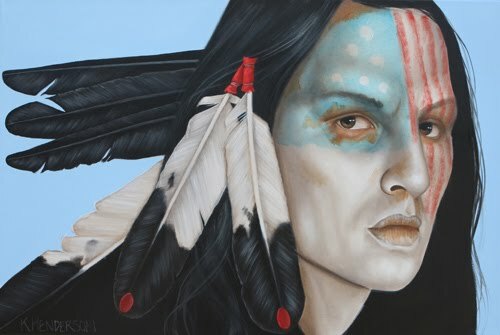 40 images of my Cowgirl and American Plains Indian paintings. View the Book before you buy. Purchase with Paypal, $19.99 + $3.80 shipping (USA only). This is first class mail with a tracking number. Contact me for other shipping outside the USA. I've just published my book 'Cowgirls and Indians' ,Characters of the Wild West. 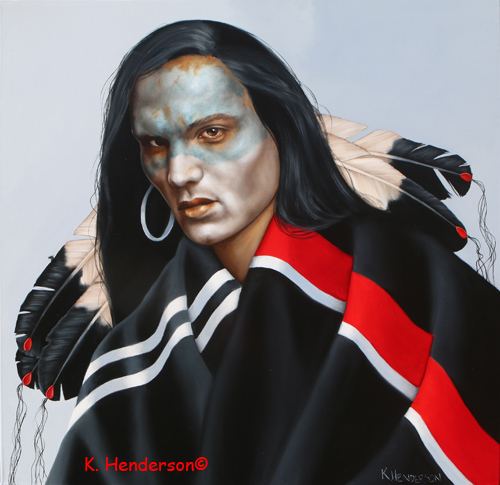 It has 40 images of my Cowgirl and American Plains Indian paintings. The book size is 7" x 7" and is soft cover and you can purchase one directly from me. I'll have a Paypal 'Buy' button as soon as I can determine the shipping cost. View the book and let me know what you think. 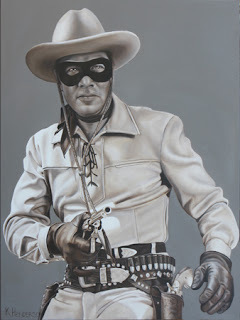 The good folks at Lovetts Gallery in Tulsa requested I create a painting of The Lone Ranger. I thought it would be a good match for my Silver Screen Cowgirls series. The Lone Ranger television series ran from 1949 to 1957, mostly starring Clayton Moore as the Lone Ranger.